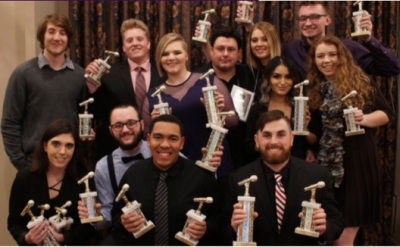 Broadcasting students from Goshen College’s 91.1 The Globe won three national awards in the College Broadcasters, Inc. (CBI) National Student Radio Production Awards. The CBI convention was held on October 26, 2018, recognized the best in student production across the nation. Laura Hoover, a senior broadcasting major from Chesterton, Indiana, and Brandon Vires, a senior psychology major from Warren, Michigan, received first place in “Best Regularly Scheduled Program Audio” for their Swinging after 11 audio piece. Riley Mills, a film production major from Milltown, Indiana, Tim Litwiller , a film production major from Phoenix, Arizona, and Tabitha Immanuel, a film production and theater double major from New Delhi, India, received third place in “Best Documentary/Public Affairs Video” for their Deep Dive: A Midwestern Legacy in the Florida Keys film piece. 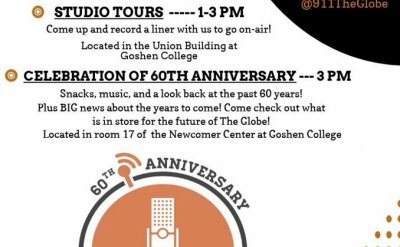 WGCS has been on the air since 1958 and is ran by General Manager Jason Samuel and Student Station Manager Laura Hoover. 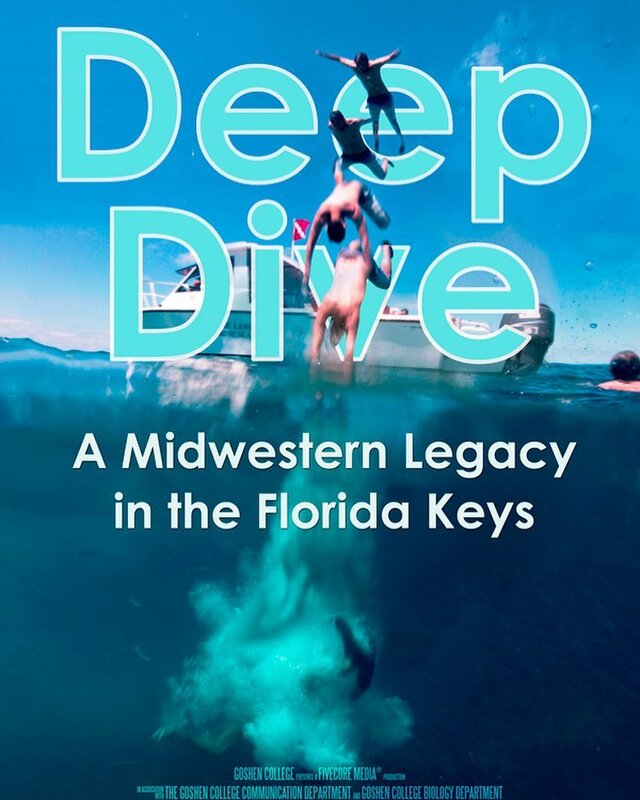 It is one of the college’s most popular co-curricular activities, preparing students to become broadcast professionals while providing a service to the Michiana community. 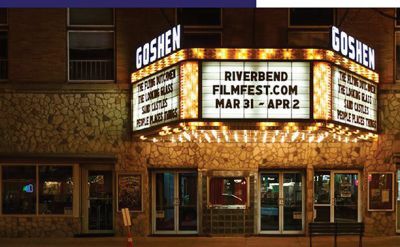 The Goshen College Communication Department has been recognized in the state and nation for its excellence in broadcasting, journalism, speech, film production and writing. The department has been named Indiana TV and Radio school of the year multiple times, Best College Radio station in the nation twice, Indiana Broadcasters Association Best Radio Station, Best College Newspaper in the state and many more. 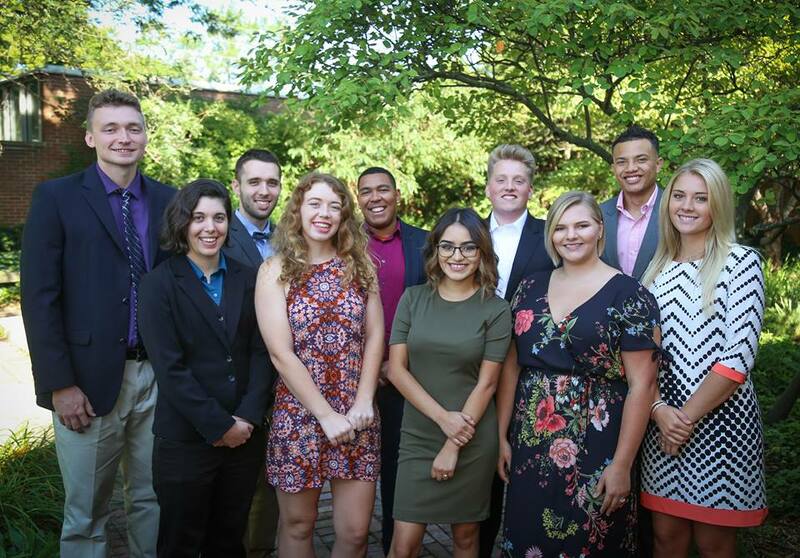 Students from Goshen College’s Communication Program get hands on learning opportunities with the department’s co-curriculars like, The Record, PRSSA, WGCS 91.1 The Globe, FiveCore Media and GCTV.